Achieve your 3D print design goals this Fall with our upcoming 3D Printing for Prototyping and Production course! The workshop, which launches October 31, will teach you all you need to know to create a fine-tuned protocol for designing 3D printed prototypes for manufacturing. You’ll also learn the latest techniques for Direct Digital Manufacturing (DDM) and how to use CAD software to design and prep your prototypes for printing. You’ll hear from industry experts in weekly live webcasts, engage in small group discussions in our online classroom, and complete assignments to put your new knowledge and skills into action. Each week features two keynote sessions covering integral 3D print topics to build towards a cohesive understanding of prototyping and production in the field. Session 1 | Introduction to the design process as a whole and 3D printing’s place in it. You’ll also learn about other prototyping methods and be shown where and when 3D printing should be implemented. Topics covered include: The Design Process, CNC machining, 3D printing, casting, hand prototyping, prototyping criteria and prototype planning. 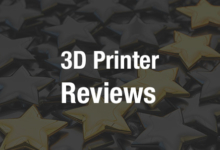 Session 3 |Learn how to prepare a design for 3D printing, including identifying what it is you are testing for in your prototypes (fit, finish, or function) and preparing your model for different printing processes. 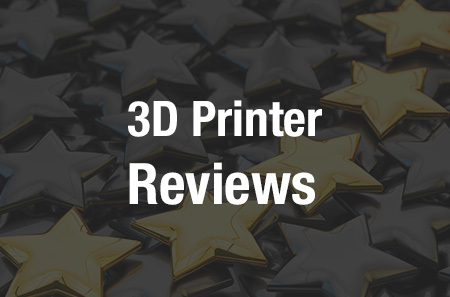 Topics covered include: A review of planning your prototype process, preparing your model for 3D printing on different processes, using Fusion 360 to slice and key parts for 3D printing, sectioning your model to test only certain areas, and orienting your part for printing. Session 4 | Methods for joining, sanding, priming, and painting parts. Discussion of how finished prototypes are great for photography, mold making and for fit or functional requirements, as it may be important to maintain tolerance levels during the finishing process. Topics covered include: Finishing, sanding, and preparing prints for photography. Session 5 | Considerations for mold making with 3D printing and mold design. Topics covered include: Mold design, mold considerations when 3D printing, how 3D printed molds compare to traditional molding techniques, and prototyping molds with 3D printing. Session 6 | Introduction to Digital Direct Manufacturing (DDM), the process whereby 3D printed CAD models are shipped directly to the customer. Learn when and how you can apply 3D printing to your manufacturing needs. Topics covered include: When and why to use 3D printing for production, how to optimize your production process and costs, and real-world experience on “bootstrapping” production with 3D printing. Sign up before September 29 to register at our early bird rate of $99 – a steep discount off of our regular rate of $149. 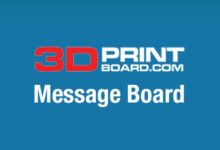 Share your thoughts on this and other 3D printing topics at 3DPrintBoard.com, or comment below.